Editors note: Information provided by the U.S. Air Force 70th anniversary website (http://static.dma.mil/usaf/70/index.html). From the earliest days of flight, airmen strived to set or exceed new altitude, speed, and distance records. The early years of the independent Air Force brought new technologies resulting in sometimes exponential improvements in these and other areas. One of the most famous “barriers” broken by the young Air Force was the sound barrier. That breakthrough established the importance of significantly higher velocities than had been achieved previously, ensuring that airframes and humans could operate effectively at high speeds. On Oct. 14, 1947, Capt. 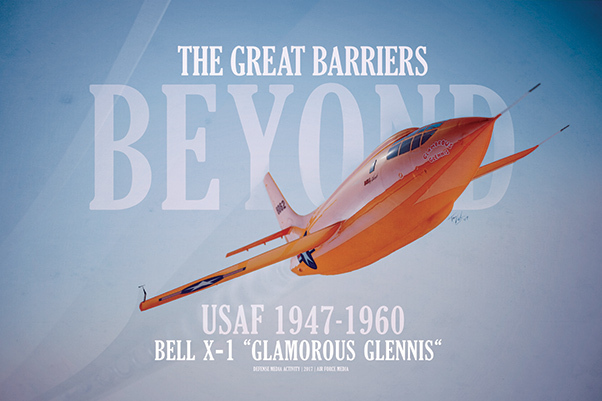 Charles E. “Chuck” Yeager made the first faster-than-sound flight at Muroc Air Base, Calif., in a rocket-powered Air Force research plane – the Bell XS–1 — and won the Mackay Trophy for the most meritorious flight of the year. On Dec. 10, 1954, in a rocket-propelled sled run, Col. John P. Stapp attained a speed of 632 miles per hour and sustained greater G forces than humans had ever endured in recorded deceleration tests — the equivalent of Mach 1.7 at 35,000 feet. The test determined that humans could survive ejection from aircraft at supersonic speeds. Then on Feb. 26, 1955, George Smith, a North American Aviation test pilot, ejected from an F-100 Super Sabre traveling at Mach 1.05, becoming the first person to survive ejection from an aircraft flying at supersonic speed. Speed was one of the primary considerations as the Air Force transitioned to an increasing reliance on jet propulsion. The Korean War was a major milestone in this transition. The battle for air superiority was vital and also especially reflected the end of propeller-driven fighters and the supremacy of jet aircraft. As the war began, U.S. Air Force Far East Air Forces had the F–51D Mustang, the all-weather F–82 Twin Mustang, and the straight-winged, jet-powered F–80 Shooting Star. At first, the inexperienced North Korean pilots with World War II-era piston-engine aircraft were no match for the U.S. American air supremacy, however, it was challenged beginning in November 1950 with the appearance of the MiG–15, flown by Soviet pilots. The swept-wing F–86 Sabre was the Air Force answer, and U.S. pilots flying the Sabres ultimately prevailed. During development, the F–86 set a speed record of 670.981 mph at Muroc Air Base. The 4th Fighter Interceptor Group was the first F–86 unit in theater, and the aircraft entered combat on December 16, 1950, even though it was actually an F–80 that scored the first jet-to-jet aerial victory on Nov. 8, 1950. Lt. Col. Bruce Hinton, commander of the 336th Fighter Interceptor Squadron, was the first F–86 pilot to down a MiG. The following May, Capt. James Jabara became the first jet-versus-jet ace, with his fifth and sixth aerial victories on May 20, later attaining a total of 15 kills. The leading jet ace was Capt. Joseph McConnell, Jr., who shot down a total of 16 MiG–15s between January and May 1953. Within the next decade, other aircraft types began to transition to jet propulsion. One of the most well-known is the B–52 Stratofortress strategic bomber. Although the program had its origins from the late 1940s, the first B–52 flew in December 1954. Capable of reaching a speed of 628 mph (546 knots) and carrying 43,000 pounds, the aircraft was truly impressive, exceeding the original requirements significantly. On June 29, 1955, the Boeing Aircraft Company delivered the first B–52 Stratofortress to enter Air Force operational service to the 93rd Bombardment Wing at Castle Air Force Base, Calif. The B-52 became — and continues to be — an important part of the Air Force’s strategic bomber inventory. The Boeing B-52 eight-engine bomber, designed to drop nuclear weapons from high altitude, was used as a conventional bomber in Vietnam in the 1960s and 1970s and in Southwest Asia in 1991 and recent years. On Feb. 12, 1959, when SAC retired its last B-36 Peacemaker, the command officially became an all-jet bomber force. The application of jet technology to the aerial refueling mission also occurred during this period. On June 28, 1957, the first KC-135 Stratotanker arrived at Castle Air Force Base, Calif., assigned to the 93d Air Refueling Squadron there. Able to take off at gross weights of up to 322,500 pounds, the jet tanker could cruise at the same speed as jet bombers while refueling, drastically reducing the time for in-flight refueling missions. The transition to jet propulsion transformed the strategic reconnaissance mission during the Cold War even more dramatically. Working in the strictest secrecy in the early 1950s, the Lockheed Corporation began the design of what would become the U-2 high altitude, long-range reconnaissance aircraft. The first test flight was in July 1955, and on June 11, 1957, the 4080th Strategic Reconnaissance Wing at Laughlin AFB, Texas, accepted delivery of its first U-2. The aircraft could fly 10-hour missions, flying at top speeds of 600 mph to unprecedented high altitudes. The first atomic weapons were delivered by manned aircraft. Strategic bombing was a key mission for the Air Force even while it fell under the U.S. Army, and the use of manned bombers for delivering nuclear weapons was a logical consequence of this mission. In spite of the fact that this puts aircrews in danger, the manned bombers remain an essential element of the nuclear triad today. Nevertheless, another key element of U.S. nuclear capability began to evolve during the 1950s, with the application of rocket propulsion technology and the capability of delivering nuclear warheads using unmanned ballistic missiles. With the Air Force responsible for developing intercontinental ballistic missiles, on July 1, 1957, the first intercontinental ballistic missile wing, the 704th Strategic Missile Wing, activated at Cooke (later Vandenberg) AFB, Calif.
Less than six months later, on Dec. 17, the Air Force test-launched an Atlas ICBM. Its reentry vehicle landed in the target area after a flight of about 500 miles. A couple of months later, Francis E. Warren AFB, Wyo., became SAC’s first intercontinental missile base. On Sept. 9, 1959, SAC fired an Atlas ICBM from Vandenberg AFB, the first firing from the west coast. The missile travelled 4,300 miles with a speed of 16,000 miles per hour, and after the test, Gen. Thomas S. Power, commander of SAC, declared the Atlas operational. By the end of 1959, Atlas had become the first U.S. long-range ballistic missile equipped with a nuclear warhead to be placed on alert status. By the end of August 1960, the 564th Strategic Missile Squadron at F.E. Warren had six Atlas missiles ready to launch, becoming the first operational ICBM squadron. Even though the ICBM would be an integral part of the strategic nuclear triad, there was no doubt that intermediate-range ballistic missiles (IRBMs) were an important capability. They clearly were vital to the Soviet arsenal, since a Soviet IRBM — with a potential range of up to 3,400 miles — could potentially hit virtually any target in Europe or Asia. A team of scientists under the leadership of James R. Killian, Jr. recommended making the development of a U.S. IRBM a priority in order to counter a possible Soviet threat, noting that an IRBM capability could be achieved more quickly than an ICBM. Although Secretary of Defense Charles E. Wilson would ultimately give responsibility for ICBM development to the Air Force, he endorsed a decision to assign responsibility for the first IRBM (which became the Thor) to the Air Force and the second IRBM program (subsequently the Jupiter) to the Army and Navy. On Jan. 1, 1958, the Air Force activated the 672d Strategic Missile Squadron, the first unit with Thor intermediate-range ballistic missiles, at Cooke AFB. This period also brought important developments in the area of air-launched missiles. On April 23, 1959, the GAM-77 (AGM-28) Hound Dog was test fired for the first time from a B–52 bomber at Eglin AFB, Fla. This was a supersonic air-to-ground missile designed to deliver a nuclear warhead over a distance of several hundred miles. Missile technology also revolutionized aerial combat. On Sept. 11, 1953, the Sidewinder infrared-guided air-to-air missile made its first successful interception, sending an F-6F drone down in flames. This new technology offered pilots a method other than gunfire for shooting down enemy aircraft. A superb example of breaking the automation barrier, the Semi-Automatic Ground Environment was a complex air defense system of radars and other data sources, along with AN/FSQ-7 computers to receive the data to detect and track aircraft, processing the data to create a picture of the air situation and, if necessary, guide weapons to destroy enemy aircraft. The concept originated in 1951, and on Jan. 17, 1956, the Department of Defense revealed the existence of SAGE. Construction began at McChord AFB in 1957. On Sept. 24, 1958, a Bomarc missile pilotless interceptor, launched from Cape Canaveral, Fla., by a SAGE unit in Kingston, N.Y., destroyed a 1,000-miles-per-hour target flying 48,000 feet over the Atlantic Ocean and traveling about 75 miles. On Dec. 18, 1958, the Air Force placed the first artificial communications satellite, a Project SCORE (Signal Communication by Orbiting Relay) vehicle, into low-earth orbit with the four-ton Atlas B launcher. The launch demonstrated the peacetime application of missile technology. The following day, the satellite broadcast a taped recording of President Dwight D. Eisenhower’s Christmas message — the first time a human voice had been heard from space. The projected duration of the orbit was 20 days, and the orbit actually lasted for 35 days. No one did more to harness science to air power objectives than Gen. Bernard A. Schriever. As commander of Air Research and Development Command and its successor, Air Force Systems Command, Schriever had demonstrated great capacity during the 1950s in bringing the American ICBM force to fruition. Then, directed in March 1963 by Secretary of the Air Force Eugene M. Zuckert, he undertook a major review of technologies applicable to U.S. Air Force needs through the mid-1970s. Called Project Forecast, it enlisted almost 500 participants, balancing blue-suiters, who understood the requirements of war, with some of the most eminent civilian scientists and engineers from universities, manufacturers, institutes, and government. In fact, Schriever drew his team from an unprecedented variety of sources — from the Air Force and 63 other federal agencies, 26 institutions of higher learning, 70 corporations and 10 nonprofit organizations. An SR-71 Blackbird flies a mission. The first SR-71 unit, the 4200th Strategic Reconnaissance Wing was established at Beale AFB, Calif., on Jan. 1, 1965. The selection of Schriever and his project manager, Maj. Gen. Charles Terhune, in itself suggests a maturing of the forecasting process. Both men not only understood the scientific world, but represented a growing number of engineers in uniform, able to grasp the technical and military aspects of weapons development. As a result, Schriever and Terhune structured Project Forecast so that all ideas produced by the technical panels were assessed in relation to factors of cost and military requirements. In addition, evaluations of the predominant threats to American security and broad foreign policy objectives further narrowed the field of candidate technologies. Finally, the capability panels translated the concepts which survived this screening process into actual weapons systems. Far more structured than Theodore von Karman’s Toward New Horizons report generated in the mid-1940s, Project Forecast, nonetheless, incorporated truly independent scientific advice and invited the widest possible participation. Also, like Toward New Horizons, it strove for comprehensiveness, producing twenty-five volumes which related new air power technologies to the world in which the Air Force found itself. Project Forecast enjoyed widespread influence throughout the Air Force and many of its recommendations, such as huge intercontinental transports and lightweight composites for aircraft and engine design, were fulfilled. The Lockheed-built C-5 Galaxy was, when it entered service in 170, the largest operational airplane in the world. On Dec. 16 and 17, 1968, (the 65th anniversary of powered flight in an unstable airplane: the Wright Flyer), the U.S. Air Force Flight Dynamics Laboratory hosted a meeting of 141 people engaged in fly-by-wire research or vitally interested in its future. The conference was a showcase for the year-old B-47 test program and the laboratory prototypes built by Sperry Flight Systems Division and Douglas Aircraft Company. It also gave attendees an opportunity to speculate about the nature of fly-by-wire systems in future aircraft. The conference papers largely reported on work in progress. The hidden agenda was to create a demand for fly-by-wire so great that further research would be sponsored by the Flight Dynamics Laboratory and its industrial partners. The early results, though promising, still did not fully convince the money controllers in Washington. If the laboratory personnel and contractors could sell the industry attendees on the idea, then pressure would be applied to the government for further support. A Titan I undergoes a test launch. As Col. Charles A. Scolatti, chief of the Flight Control Division, said in the conclusion to his welcoming remarks, “I hope that this conference will provide you with reinforcement on the potential, soundness, and maturity of fly-by-wire flight control systems and open the doors which will permit you to consider fly-by-wire for flight control system tradeoff studies for our future aircraft and aerospace vehicle.” In short, the people at Wright-Patterson were sold, and now it was time to sell the others. With the advent of the Kennedy administration, the ICBM program was reevaluated once more. Meanwhile, the so-called missile gap faded as interest shifted from the numbers of missiles available to their reliability and flexibility. The Thor IRBM became operational in the United Kingdom between June 1959 and April 1960; Atlas D and E models went on alert between August 1960 and November 1961; Titan I and Atlas F became operational during April to December 1962; and Jupiters were installed in Italy in 1961 and in Turkey in 1962. In all, 13 Atlas and six Titan I squadrons became operational. Even as these missiles were put in place, important decisions were made with respect to their successors — the solid-fueled missiles. In March 1961, Defense Secretary Robert S. McNamara returned from a visit to BMD convinced of the necessity for building a solid-fueled ICBM, now called the Minuteman. The development of the Minuteman was so rapid and so successful that it accelerated by several years the phase-out of the first generation, liquid-fueled ICBMs. By December 1964, Atlas Ds came off alert, and by June 1965, Atlas E and F and Titan I were retired. The first 10 Minuteman I missiles came on alert in time for the Cuban Missile Crisis in October 1962. Eventually a force of 1,000 Minuteman and 54 Titan I1 ICBMs were fielded. Feb. 1, 1961: The Minuteman intercontinental ballistic missile was launched for the first time at Cape Canaveral, Fla., in a major test. Under full guidance, it traveled 4,600 miles to its target area. The solid-fueled Minuteman could be stored more easily and fired more quickly than the liquid-fueled Atlas and Titan intercontinental ballistic missiles. Feb. 1, 1961: The ballistic missile early warning system site at Thule, Greenland, became operational. Subsequently, other sites became operational at Clear, Alaska, and Fylingdales in the United Kingdom. Operated by the North American Air Defense Command, the system could provide the United States warning of an impending Soviet missile attack in time to respond. June 1, 1961: At Kincheloe Air Force Base, Mich., the first Bomarc-B pilotless interceptor site was declared operational. The Bomarc was a long-range, antiaircraft surface-to-air missile (SAM), the U.S. Air Force’s only one employed. Aug. 8, 1961: The Air Force launched an Atlas F missile from Cape Canaveral, Fla., for the first time. The Atlas F, designed for long-term storage of liquid fuels and for shortened countdown, was the only Atlas model destined for emplacement in hardened, underground silos. April 18, 1962: At Lowry Air Force Base, Colo., Strategic Air Command declared operational the Air Force’s first Titan I unit — the 724th Strategic Missile Squadron. Its nine missiles were the first to be placed in hardened underground silos. June 29, 1962: An Air Force team fired a Minuteman missile from an underground silo at Cape Canaveral to a target area 2,300 miles downrange. This Minuteman was the first to be launched by a military crew. July 19, 1962: A Nike-Zeus antimissile missile fired from Kwajalein Island in the Pacific Ocean made the first known interception of an intercontinental ballistic missile when it brought down the nose cone of an Atlas missile launched from Vandenberg AFB, Calif.
June 8, 1963: The 570th Strategic Missile Squadron, the first Titan II unit, was activated at Davis-Monthan Air Force Base, Ariz. By April 21, 1964, the number of ICBMs equaled the number of bombers on SAC ground alert for the first time. Subsequently, the number of missiles exceeded the number of bombers in the nuclear-deterrent force. April 20, 1965: Strategic Air Command shipped its last Atlas missile to storage facilities to be used as a launch vehicle in various research and development programs, thus completing the phase out of the first generation of intercontinental ballistic missiles, all of which were liquid-fueled. June 30, 1965: At Francis E. Warren Air Force Base, Wyo., the last of 800 Minuteman I missiles became operational when Strategic Air Command accepted the fifth Minuteman wing from Air Force Systems Command. Oct. 31, 1965: Strategic Air Command accepted its first 10 Minuteman II missiles, assigning them to the 447th Strategic Missile Squadron at Grand Forks Air Force Base, N.D. 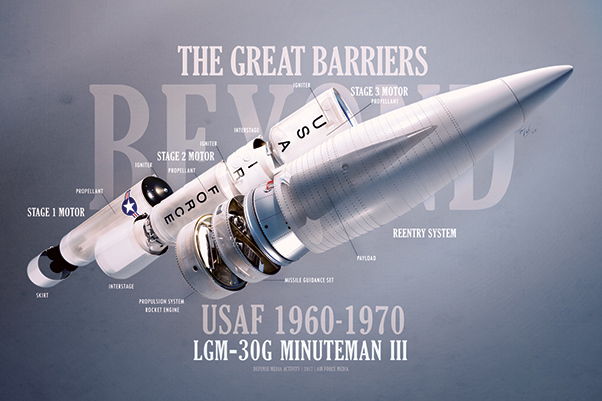 The Minuteman II was larger and more advanced than the Minuteman I, but it could be fired from the same silos. Feb. 3, 1968: At the Arnold Engineering Development Center at Tullahoma, Tenn., a laser beam was used for the first time as a light source for photographing aircraft and missile models at high velocity. Dec. 18, 1969: Air Force Missile Development Center crews completed the first guided launch of the Maverick — an air-to-surface television-guided missile capable of attacking moving targets at short range. Designated the AGM-65, the missile would eventually be carried by a variety of bomber, fighter, and attack aircraft. June 19, 1970: The first Minuteman III missile unit became operational at Minot Air Force Base, N.D. The Minuteman III could launch multiple, independently targetable warheads. The U.S. Air Force continued its quest of cruise missiles with a bit more success in the 1950s and 1960s. It briefly deployed the intercontinental range Northrop Snark in the period 1959-1661. It was guided by a one-ton inertial system updated by stellar navigation. But, as with its predecessors, it was expensive, technically flawed, and in the end, unsuccessful. There were numerous aerodynamic problems, and test failures were so frequent that pundits dubbed the waters off of the test site at Cape Canaveral as “Snark-infested waters.” One missile, however, went too far. It was last seen by the Air Force after its launch in 1956; in 1982 a Brazilian farmer in the Amazon basin found it! Its designated follow-on missile was no better, as the North American Navaho is probably best remembered for the rhyme, “Never go, Navaho.” The Air Force did best with the Martin Matador/Mace missile that was operational between 1955 until 1969 in both Europe and East Asia. It was about the size of a fighter and used a number of different guidance systems: radio control, radar map comparison method, and inertial. But like its big brother the Snark, the Matador/Mace’s record was hindered by troublesome engines, guidance problems, as well as low reliability and accuracy. The Navy had about the same luck (or lack of luck) with its Chance Vought Regulus, a missile that was very much like the Matador in appearance and performance. It did give the Navy a nuclear punch and was liked by some naval officers. The F–111, sometimes called the Aardvark, featured swing wings that could be swept forward for slow flight or backward for greater speed. June 9, 1961: Delivery of the first C–135 Stratolifter introduced jet cargo aircraft into the fleet of the Military Air Transport Service. Jan. 1, 1965: The Air Force’s first SR–71 Blackbird unit, the 4200th Strategic Reconnaissance Wing, activated at Beale Air Force Base, Calif. The SR–71 could attain a speed of more than Mach 3 and altitudes beyond 70,000 feet, but it required special fuel and maintenance support. April 23, 1965: The first operational Lockheed C–141 Starlifter aircraft was delivered to Travis Air Force Base, Calif. Capable of crossing any ocean nonstop at more than 500 miles per hour, the Starlifter could transport up to 70,000 pounds of payload, including 154 troops, 123 paratroopers, or a combination of troops and supplies. Dec. 8, 1965: The secretary of defense announced plans to phase out older models of the B–52 bombers and all B–58 bombers. Newer B–52 models made the older ones obsolete, and the B–58 had proven impractical because of its high fuel consumption. March 31, 1966: Strategic Air Command phased out its last B–47 Stratojet. The first all-jet strategic bomber, it had entered active service in 1951, 15 years earlier. March 15, 1967: The Sikorsky HH–53B, the largest and fastest helicopter in the Air Force inventory, made its first flight. It would be used for air rescue operations in Southeast Asia. Oct.16, 1967: The first operational F–111A supersonic tactical fighter landed at Nellis Air Force Base, Nev. The variable swept-wing jet used its terrain-following radar-guidance controls for the flight from Fort Worth, Texas. June 17, 1968: The first C–9 Nightingale aeromedical-evacuation aircraft ordered by Military Airlift Command for the airlift of patients within the United States rolled out at McDonnell Douglas Corporation, Long Beach, Calif.
Aug. 25, 1968: The North American OV–10 Bronco, the Air Force’s newest forward-air-control aircraft, began a 90-day combat-evaluation program in South Vietnam. Jan. 1, 1969: The 71st Special Operations Squadron of the Air Force Reserve flew the first AC–119 Shadow gunship combat mission in Vietnam. The AC–119’s multiple machine guns could strafe the ground even more effectively than those of its predecessor, the AC–47. June 6, 1970: Gen. Jack J. Catton, commander of Military Airlift Command, accepted delivery of the first C–5 Galaxy for operational use by the Air Force. At the time, the C–5 was the largest operational airplane in the world. Oct. 2, 1970: The Special Operations Center at Hurlburt Field, Florida, took possession of the new UH–1N Bell Twin Huey, making the center the first operational Air Force organization to have the helicopter. Feb. 3, 1961: As part of a project called “LOOKING GLASS,” Strategic Air Command began flying EC–135s to provide a 24-hour-a-day airborne command post for the president and secretary of defense in case enemy attack wiped out land-based command and control sites that controlled strategic bombers and intercontinental ballistic missiles. Dec. 15, 1961: The North American Air Defense Command semiautomatic ground-environment system became fully operational with completion of its 21st and last control center at Sioux City, Iowa. Jan. 5, 1970: Aerospace Defense Command’s Backup Intercept Control III radar system became fully operational with the acceptance of the facility at the 80th Air Defense Group, Fortuna Air Force Station, N.D. Designed to provide immediate information on any airborne threat to North America, this system augmented the semiautomatic ground-environment system. Oct. 16, 1963: At Cape Canaveral, Fla., the Air Force inaugurated a space-based nuclear-detection system by launching twin satellites to assume circular 7,000-mile-high orbits on opposite sides of Earth. The 475-pound, 20-sided satellites, known as Project Vela Hotel or Project 823, could detect nuclear explosions anyplace on Earth. Dec. 10, 1963: Secretary of Defense Robert S. McNamara assigned development of the Manned Orbiting Laboratory to the Air Force. July 8, 1965: The National Aeronautics and Space Administration transferred its Syncom II and Syncom III satellites to the Department of Defense. The Air Force Satellite Control Facility and its remote tracking stations in the Pacific and Indian Oceans became responsible for their orbital control. March 16, 1966: Astronauts Neil Armstrong and David Scott blasted into space atop a Titan II missile on the Gemini 8 mission. 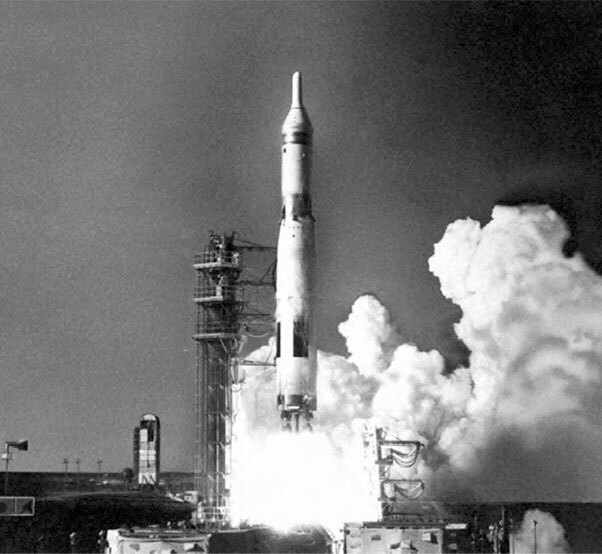 The two astronauts later performed the first docking maneuver in space, linking their capsule with an Agena target vehicle that had been launched by an Atlas booster. At the conclusion of the mission, 20 minutes after splashdown in the Pacific Ocean 500 miles east of Okinawa, Air Force pararescuemen attached flotation gear to the Gemini 8 space capsule, marking the first time Air Force rescue forces had participated in the recovery of a Gemini capsule. June 16, 1966: A Titan IIIC boosted seven experimental communications satellites and one gravity-gradient satellite into orbit 18,000 nautical miles above the equator. 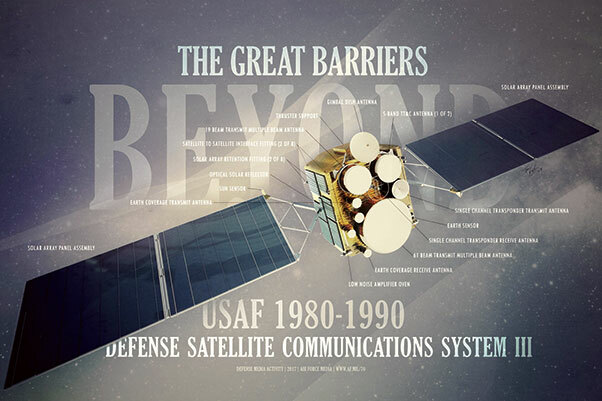 The satellites demonstrated the feasibility of a global military-communications satellite system. Sept. 20, 1966: Lt. Col. Donald M. Sorlie became the first Air Force pilot to fly the National Aeronautics and Space Administration lifting body from the Air Force Flight Test Center at Edwards Air Force Base, Calif. Air-launched from a B–52 at an altitude of 45,000 feet, the craft reached a speed of nearly 400 miles per hour during the three-and-one-half-minute flight. It tested the concept that a space capsule could fly back from outer space rather than falling by parachute into the sea for ship recovery. June 13, 1968: A Titan IIIC launch vehicle successfully placed in orbit eight communications satellites from Cape Kennedy, Fla., to augment the initial Defense Satellite Communications System. Dec. 21, 1968: The National Aeronautics and Space Administration launched Apollo 8 atop a Saturn V booster from Cape Kennedy, Fla. The astronauts aboard included Col. Frank Borman and Col. William A. Anders, Air Force, and Capt. James A. Lovell, Jr., United States Navy. A few days later, the three men achieved the first lunar orbit. Feb. 9, 1969: The free world’s first tactical communications satellite, the 1,600-pound TACSAT 1, blasted into geostationary orbit from the Air Force Eastern Test Range, Fla., atop a Titan IIIC launch vehicle. TACSAT was designed to relay communications among small land-mobile, airborne, or shipborne tactical stations. July 8, 1962: In Operation DOMINIC, a Thor rocket launched from Johnston Island carried a megaton-plus hydrogen device to an altitude above 200 miles—the highest altitude for a U.S. thermonuclear blast. In 1967, an Eglin AFB test unit was in Vietnam with laser-guided bombs, ready to use them in combat, and they were so tested. The reason that they did not get the publicity is that just about the time the Air Force started dropping them, President Johnson called a bombing halt. Bombing in the jungles of South Vietnam did not generate the kind of media attention that PGMs later got from Desert Storm. The Eglin unit employed the test items extensively in South Vietnam in 1968 while the bombing halt was operative up north, and the results were highly encouraging. May 5, 1972: The Air Force’s sea-launched ballistic-missile detection and warning system — Pave Phased Array Warning System — achieved initial operational capability. Sept. 3, 1974: Strategic Air Command removed from alert its last Minuteman I intercontinental ballistic missile at the 90th Strategic Missile Wing, F. E. Warren Air Force Base, Wyo., during conversion to Minuteman III missiles. Oct. 29, 1975: The first F–5E Tiger II aircraft entered the Air Force’s inventory at Nellis Air Force Base, Nev.
Jan. 13, 1974: Dr. John L. McLucas, secretary of the Air Force, authorized purchase of the General Dynamics F–16 — a low-cost, lightweight, highly maneuverable aircraft. Jan. 9, 1975: The first operational F-15 Eagle, a new air-superiority fighter aircraft, arrived at the 1st Tactical Fighter Wing, Langley Air Force Base, Va. The F–15 was the first fighter to have a thrust greater than its weight, allowing it to accelerate while going straight up. 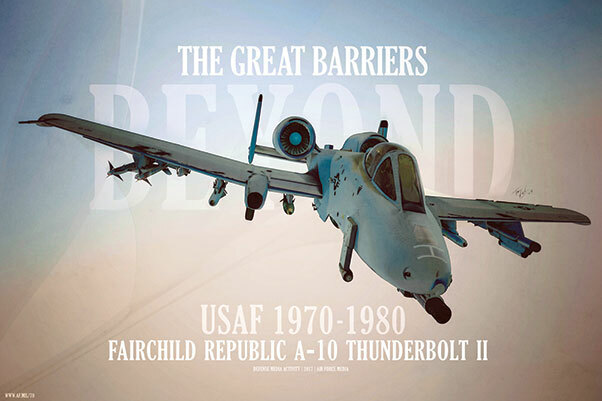 March 22, 1976: The first A–10 Thunderbolt was delivered to Davis-Monthan Air Force Base, Ariz., for test and evaluation. The heavily armored jet attack aircraft, armed with a heavy Gatling gun in the nose and equipped with straight wings able to carry a variety of air-to-ground munitions, was designed for close air support missions. Sept. 6, 1976: A Soviet pilot landed his MiG–25 Foxbat jet fighter in Hokkaido, Japan, and asked for asylum in the United States. Japanese and U.S. officials closely examined the aircraft and on Nov. 15, returned it, dismantled, to the Soviet Union. Jan. 8, 1977: The first YC–141B (stretched C–141 Starlifter) rolled out of the Lockheed plant in Marietta, Ga. Equipped with in-flight refueling capability, it was 23.3 feet longer than the original C–141A, enabling it to carry more troops and cargo. March 23, 1977: Tactical Air Command’s first E–3A Sentry aircraft arrived at Tinker Air Force Base, Okla. The Sentry, the Air Force’s first airborne warning and control system aircraft, carried a large rotating radar disk above its fuselage. In October 1980, Operation ELF began with the deployment of four Air Force E–3A airborne warning and control system aircraft to Riyadh, Saudi Arabia, to protect Saudi airspace during the Iran-Iraq War. Three KC–135s also deployed during the operation. Jan. 6, 1979: The 388th Tactical Fighter Wing at Hill Air Force Base, Utah, received the first General Dynamics F–16 delivered to the Air Force. The F–16, the newest multirole fighter, could perform strike as well as air-superiority missions. For 20 years, the Air Force Flight Dynamics Laboratory conducted a step-by-step research program in concert with industrial partners to make fly-by-wire possible. Beginning in 1956, the engineers at the Laboratory sponsored and participated in a graduated series of basic and applied research projects that culminated in the adoption of active flight control on the F-16 in the mid-1970s. The F-16 was the first operational fly-by-wire aircraft designed as such. The total direct investment in Air Force fly-by-wire research prior to its design in then-year dollars is slightly under $20 million, inexpensive considering the pervasive results. The speed of this revolution in flight control is a direct function of the persistence of a team of U.S. Air Force scientists and engineers, and a loosely related group of NASA researchers, working closely with industrial contractors. Since fly-by-wire technology enables active control of aircraft, they can be unstable in one or more axes. There are resultant advantages in maneuverability and reduction of the weight of control surfaces — advantages for both military and civilian aircraft. There are additional advantages for military aircraft in terms of survivability and weapons delivery. At the simplest level, the mechanical cables leading from control devices such as stick and rudder pedals are eliminated and replaced with sensors at the base of a control column and other sensors to keep track of aircraft attitude and acceleration. Inputs from the sensors are sent to a computer which then calculates the appropriate commands to actuators that will accomplish the pilot’s desires. Since all control signals are carried by wires rather than steel cables, the technology came to be called fly-by-wire. The General Dynamics YF-16 Fighting Falcon 72-1567, Feb. 2, 1974. The F-16 emerged from the Air Force’s Lightweight Fighter Program, an innovative experimental prototyping effort that took place between 1972 and 1975. The LWF program was noteworthy for its rapid execution, innovative management strategies, and successful approach to technology transition. The demonstration, if successful, would give the Air Force the option of complementing the F-15 with a light-weight, lower cost day fighter. The first YF-16 was rolled out Dec. 13, 1973, and shipped to Edwards in a C-5A on Jan. 9, 1974. There was an unscheduled first flight during a high-speed taxi test on Jan. 20, when roll oscillations caused the left wingtip missile and the right horizontal tail to contact the ground. General Dynamics test pilot Philip Oestricher elected to take off to avoid further damage to the aircraft. This flight lasted six minutes. 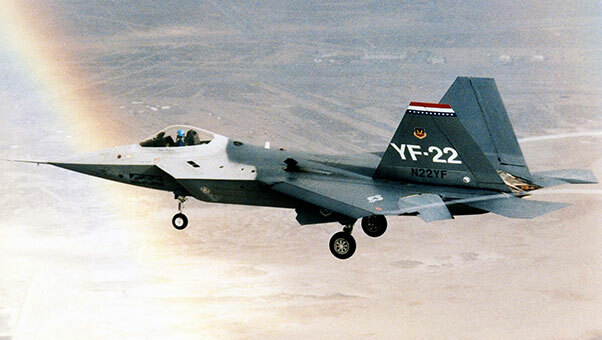 The first scheduled flight was made on Feb. 2, less than two years after General Dynamics had submitted the proposal for the YF-16, or 22 months after contract award. The first supersonic flight was three days later, and the top speed of Mach 2 was reached on the 20th flight, on March 11. 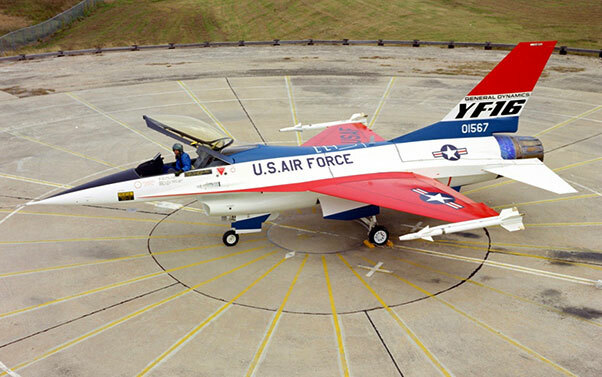 The second YF-16 was shipped to Edwards on Feb. 27, but with no available F100 engine, did not fly until May 9. The test program was completed on Jan. 31, 1975, with a total of 439 flight hours in 347 sorties. “The technology push side of the story also had its foundations in about 1974, when the then Defense Advanced Research Projects Agency, along with the Air Force as a sponsoring element, released a request for proposal for a stealth aircraft,” said Paul G. Kaminski, undersecretary of defense for acquisition and technology, during a 1997 symposium. “The RFP was released at that time in the open, searching for new ideas to move ahead. There were five fighter aircraft manufacturers who were invited to participate in a design competition. “Lockheed was not one of the original five participants, but they were allowed to come into the program and join the DARPA competition late. In April 1975, a breakthrough occurred at Lockheed that is interesting in an historical sense. A Lockheed radar specialist named Denys Overhalser was reading some Soviet literature. He stumbled onto something that was very, very critically important at the time, given our limited ability to do electromagnetic computations. He found an algorithm for accurately calculating the radar cross-section of particular three-dimensional geometric shapes, allowing us to analyze and determine the contributions of those shapes to radar scatter. In fact, it was those fundamental shapes that Lockheed employed in their design,” Kaminski continued. “By April 1976, Lockheed had won both phases of the DARPA design competition. At this point Lockheed was given the go-ahead to build two prototype aircraft (Have Blue) of roughly 10,000 to 12,000 pounds. The purpose of the Have Blue aircraft was to show that we could achieve in flight what we had predicted in our analysis and what we had achieved in scale-model tests on a radar cross-section measurement facility. In this technology push program, in a sense, we were building the very best antenna we could. Every now and then we checked to see if it could fly! That was the thrust that had to be taken at this point in the program. We were trying to push the low observable technologies to the maximum degree possible. “It was an aircraft with very unusual flying characteristics, but it was a key demonstrator, a key predecessor for what became the operational F-117 stealth fighter in 1983. The first Have Blue flight occurred on Dec, 1, 1977, a little over 19 months from go-ahead in the program. The flight test program ended on the next to the last mission. That is, we had one more mission to go before completing the program, when we lost the second of two aircraft,” Kaminski said. Feb. 22, 1978: An Atlas booster launched the first Global Positioning System satellite. A “constellation” of such satellites revolutionized navigation. This decade saw the most convincing demonstration of the benefit reaped from precision munitions. In any event, in the spring of 1972, for Linebacker I, the most famous precision guided munition case was the dropping of the Thanh Hoa bridge. It had been a target for five or six years, and the U.S. had never been able to destroy it. On April 27, 1972, four Air Force fighter crews, releasing Paveway I laser-guided “smart” bombs, knocked down the Thanh Hoa bridge in North Vietnam. Previously, 871 conventional sorties had resulted in only superficial damage to the bridge. Laser-guided bombs provided further victories. On May 10 and 11, F–4 Phantoms from the 8th Tactical Fighter Wing dropped PGMs on the Paul Doumer Bridge in Hanoi, North Vietnam, closing it to traffic. One month later, B–52s used laser-guided bombs to destroy a major hydroelectrical plant near Hanoi. Then in September, U.S. aircraft used PGMs to destroy the Long Bien bridge over the Red River in downtown Hanoi. Nov. 29, 1975: The first annual RED FLAG exercise began at Nellis Air Force Base, Nev., ushering in a new era of highly realistic U.S. Air Force air combat training for pilots and aircrews. Jan. 11, 1981: The Boeing Company delivered the first U.S. Air Force air-launched cruise missiles to the 416th Bombardment Wing at Griffiss Air Force Base, N.Y. Capable of delivering a nuclear weapon to a target 1,500 miles away, the new missiles contained a terrain-contour-matching system that allows extremely low-altitude flight to avoid detection by enemy radar. May 2, 1981: An airborne laser destroyed an aerial target for the first time when the Airborne Laser Laboratory, a modified KC–135 aircraft armed with a carbon dioxide laser, shot down a drone over White Sands Missile Range, New Mexico. Two years later, the ALL successfully shot down five Sidewinder air-to-air missiles, proving its utility as an antimissile system. Oct. 2, 1981: President Ronald Reagan announced that the M–X missile would be deployed initially in existing missile silos. July 1, 1982: United States Air Forces in Europe activated the 501st Tactical Missile Wing at Royal Air Force Greenham Common, United Kingdom. This unit was the first of six ground-launched cruise missile wings in Europe. Feb. 3, 1983: To modernize America’s retaliatory capability, Strategic Air Command completed the retrofitting of 300 Minuteman III intercontinental ballistic missiles with new reentry systems. July, 1984: The first Harpoon (AGM–84) missile was delivered to the 69th Bombardment Squadron, 42nd Bombardment Wing, Loring Air Force Base, Maine. B–52s could launch the missiles to destroy enemy ships. Aug. 28, 1984: A C–5 Galaxy arrived at Florennes Air Base, Belgium, with the first shipment of support equipment for ground-launched cruise missiles in Europe. Aug. 23, 1985: Air Force Systems Command successfully conducted its first “cold launch” from an underground silo, a modified Minuteman launch facility at Vandenberg Air Force Base, Calif. The cold-launch technique ejected the missile from the silo by gas pressure, and the propellant ignited after it became airborne. This technique caused less damage to the silo and reduced the time needed for another launch. June 19, 1986: All U.S. Air Force Rapier surface-to-air missile units in Europe became operationally ready. Oct. 10, 1986: The Air Force placed the LGM–118A, also called the Peacekeeper or MX missile, on alert duty. Each of these new intercontinental ballistic missiles could deliver warheads to 10 different targets. May 5, 1987: Strategic Air Command removed the last liquid-fueled Titan II missile from alert duty at Little Rock Air Force Base, Ark., ending the operational life of the nation’s largest intercontinental ballistic missile and the last one with liquid fuel. Dec. 8, 1987: The United States and the Union of Soviet Socialist Republics signed the Intermediate-Range Nuclear Forces Treaty, agreeing to remove all intermediate-range (620–3,415 statute miles) missiles from Europe. The agreement resulted in the inactivation of six U.S. Air Force tactical missile wings equipped with ground-launched cruise missiles. May 4, 1990: The AIM–120A advanced medium-range air-to-air missile passed its final flight test for use on U.S. fighters. The first B-1B debuts outside a hangar in Palmdale, Calif., in 1984. 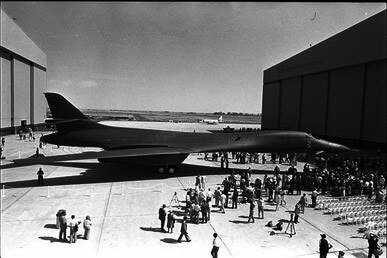 The B-1 bomber was first envisioned in the 1960s as a platform that would combine the Mach 2 speed of the B-58 Hustler with the range and payload of the B-52 — eventually replacing both bombers. Rockwell International won the design contest for what emerged as the B-1A, and initial plans called for 240 B-1As to be built, with initial operational capability set for 1979. However, the combination of high cost and the introduction of the AGM-86 air launched cruise missile, as well as early work on the stealth bomber significantly affected the need for the B-1 and the program was cancelled June 30, 1977, after the B-1A prototypes had been built. The program was restarted in 1981 by President Ronald Reagan, largely as an interim measure while the stealth bomber entered service. In January 1982, the U.S. Air Force awarded two contracts to Rockwell worth a combined $2.2 billion for the development and production of 100 new B-1 bombers. This led to a redesign as the B-1B, which had lower top speed at high altitude of Mach 1.25, but improved low-altitude performance of Mach 0.96. The electronics were also extensively improved during the redesign, and the airframe was improved to allow takeoff with the maximum possible fuel and weapons load. The B-1B began deliveries in 1986 and formally entered service with Strategic Air Command as a nuclear bomber in 1986. By 1988, all 100 aircraft had been delivered. In the early 1990s, following the Gulf War and concurrent with the disestablishment of SAC and its reassignment to the newly formed Air Combat Command, the B-1B was converted to conventional bombing use. The aircraft first served in combat during Operation Desert Fox in 1998 and again during the NATO action in Kosovo the following year. The B-1B has supported U.S. and NATO military forces in Afghanistan and Iraq. The B-1B is expected to continue to serve into the 2030s, with the Northrop Grumman B-21 Raider to begin replacing the B-1B after 2025. As of September 2016, the U.S. Air Force has 62 B-1Bs in its inventory. March 17, 1981: McDonnell Douglas Aircraft Company delivered the first KC–10A Extender tanker/cargo aircraft to Strategic Air Command. Substantially larger than the KC–135 tanker/cargo aircraft, the Extender not only could carry more fuel and cargo, but also could refuel more types of aircraft, including other KC–10s. On June 21, 1982, Strategic Air Command conducted a successful aerial refueling only 750 miles from the South Pole. During this southernmost in-flight refueling, a KC–10A Extender transferred 67,400 pounds of aviation fuel to a Military Airlift Command transport that was conducting resupply operations in Antarctica. 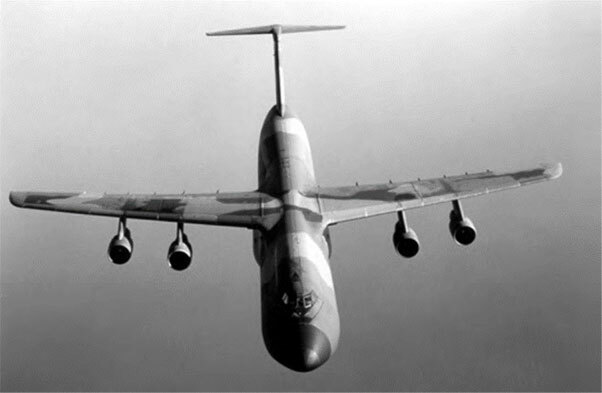 The primary mission of the KC–10A Extender was aerial refueling, but it also carried cargo and passengers. June 18, 1981: The F–117 Nighthawk, the world’s first stealth combat aircraft, flew for the first time. Hal Farley piloted the revolutionary aircraft, which presented very little radar image, at Tonopah Test Range, Nev. By 1983, the Air Force declared the system operational, and by 1986, 36 F-117s had been delivered, with the remaining 26 delivered by July 1990. On Nov. 10, 1988, the Air Force revealed the F–117 stealth fighter to the public for the first time. Manufactured by Lockheed, the F–117 could evade most radar detection with its radical shape and radar-absorbent surface. Sept. 15, 1981: Strategic Air Command received its first TR–1A reconnaissance aircraft. Built by Lockheed-California, this improved and enlarged version of the U–2 reconnaissance aircraft could conduct all-weather day-and-night missions at altitudes exceeding 70,000 feet. Nov. 5, 1981: The first operational EF–111A defense-suppression aircraft was delivered to the 388th Electronic Combat Squadron at Mountain Home Air Force Base, Idaho. The EF–111A would eventually replace EB–66 and EB–57 aircraft to provide worldwide support of tactical air strike forces. Jan. 8, 1986: Military Airlift Command accepted delivery of its first C–5B Galaxy, an improved version of the C–5A, at Altus Air Force Base, Okla. On Oct. 4, 1989, a 60th Military Airlift Wing crew landed a C–5B Galaxy in Antarctica for the first time. With a load of 72 passengers and 84 tons of cargo, including two fully assembled Bell UH–1N helicopters, the huge aircraft landed without skis at McMurdo Station. Aug. 23, 1990: The 89th Military Airlift Wing received the first of two Boeing VC–25A presidential transport aircraft at Andrews Air Force Base, Maryland. The VC–25A was a modified 747–200B commercial transport that replaced the VC–137C for service as Air Force One. April 18, 1991: The Air Force completed the first successful flight test of a new Martin Marietta/Boeing MGM–134A small intercontinental ballistic missile. The missile traveled 4,000 miles from Vandenberg Air Force Base, Calif., to the Pacific Island target area at the Kwajalein Missile Range. Dec. 27, 1992: A U.S. Air Force pilot patrolling the southern United Nations no-fly zone in Iraq shot down an Iraqi MiG–25, scoring the first aerial victory by an F–16. This was also the first victory using the AIM–120A advanced medium-range air-to-air missile. Constituting less than 2.5 percent of all coalition aircraft in Operation Desert Storm, the F–117A stealth fighter-bomber successfully attacked more than 31 percent of Iraqi strategic targets the first day. More than eight years later, Operation Noble Anvil/Allied Force marked the first time that an F–117 was shot down in combat, on March 27, 1999, over Yugoslavia. Capt. (later Brig. Gen.) John A. Cherrey, an A–10 pilot, earned the Silver Star for locating the downed pilot, who was rescued by helicopter the same day. Dec. 21, 1991: The AC–130U Spectre gunship flew for the first time. The new-generation gunship combined increased firepower, reliability, and accuracy with the latest target-location technology. Jan. 17, 1992: To modernize its fleet of training aircraft, the Air Force accepted the first production model T–1A Jayhawk. The C-17 Globemaster III made its first flight Sept. 15, 1991, when it flew from the then McDonnell Douglas (later Boeing) manufacturing plant in Long Beach, Calif., landing at Edwards Air Force Base, Calif.
June 14, 1993: The Air Force acquired its first C–17A Globemaster III transport aircraft, which was delivered to the 437th Airlift Wing at Charleston Air Force Base, S.C. 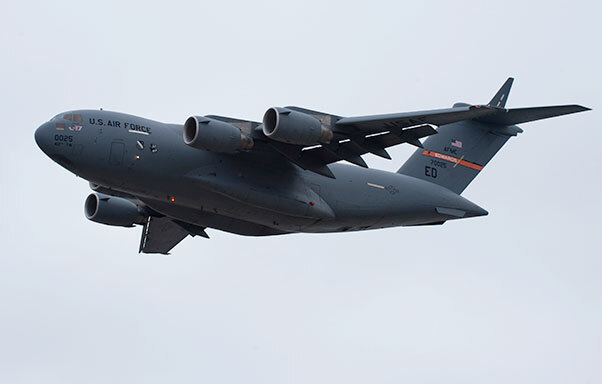 Capable of delivering outsized cargo to a tactical environment, the Globemaster III increased the Air Force’s ability to airlift to relatively small airfields, eliminating the need to shift cargo from larger to smaller transports. In their first strategic mission, two C–17 Globemaster IIIs transported military equipment and supplies from Langley Air Force Base, Va., to Saudi Arabia, on 14-16 October 1994. The following year, the C–17 participated in its first disaster-relief operation, following Hurricane Marilyn, which devastated islands in the eastern Caribbean. On May 31, 1996, the Air Force awarded the largest military contracts ever for the production of 80 additional C–17 Globemaster III transports over the course of seven years at a cost of $16.2 billion. The new aircraft would bring the C–17 fleet up to a total of 120, which would allow the retirement of most of the aging C–141 Starlifters. In April 1999, a C–17 Globemaster III airlifted relief supplies from Dover Air Force Base, Del., to Tinana, Albania, for refugees from Kosovo at the start of Operation Sustain Hope (Shining Hope), a humanitarian- airlift counterpart to the ongoing Operation Allied Force. Dec. 17, 1993: The first B–2 Spirit bomber, The Spirit of Missouri, arrived at Whiteman Air Force Base, Mo. 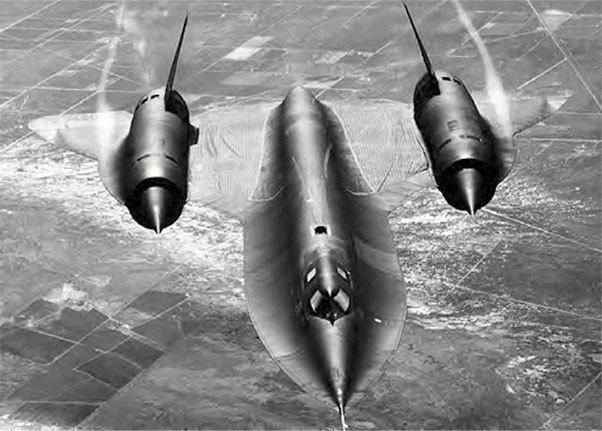 The B–2, essentially a flying wing, was the first “stealth” heavy bomber. On April 1, 1997, B–2s became operational at Whiteman Air Force Base, where six of the aircraft were initially based to serve with the 509th Bomb Wing. B–2s deployed overseas the first time on Feb. 23, 1998, flying from Whiteman Missouri, to Andersen Air Force Base, Guam. Operation Allied Force (Noble Anvil), to protect ethnic Albanians living in the Serb province of Kosovo, used B–2 Spirit bombers for the first time in combat. On July 15, 2000, the final B–2 arrived at Whiteman Air Force Base. The Air Force did not plan any new bombers in its inventory for 35 years. May 3, 1994: The last B–52G Stratofortress went into storage at Davis-Monthan Air Force Base, Ariz. The only B–52s left in the active Air Force inventory were H models. July 1, 1994: The 184th Bombardment Group in Kansas became the first Air National Guard unit to be equipped with the B–1B Lancer. Oct. 4, 1994: F–16 Fighting Falcons replaced the last F–4 Wild Weasel aircraft in the performance of suppression of enemy air defenses missions. July 29, 1995: Air Combat Command activated the 11th Reconnaissance Squadron at Indian Springs Air Force Auxiliary Field, Nev., now Creech AFB — the first unit of remotely piloted aircraft, reflecting the Air Force’s increasing reliance on unmanned aircraft in combat-support roles. 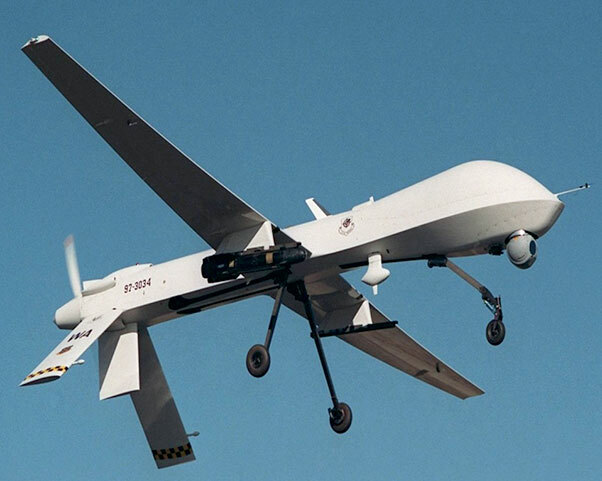 On Sept. 3, 1996, the squadron began operating the RQ–1B Predator, a remotely piloted aircraft designed for aerial surveillance and reconnaissance, over Bosnia-Herzegovina. April 17, 1999, marked the first time the Air Force sent the RQ–1 Predator on flights in a combat zone, where it performed reconnaissance over Serbia during Operation Allied Force. June 11, 1996: Air Combat Command acquired its first E–8 joint surveillance target attack radar system aircraft. The E–8 airplane, capable of providing detailed radar information about ground targets, had been tested during its development phase in Operations Desert Storm and Joint Endeavor. The Lockheed Martin YF-22, prototype of the F-22 Raptor fighter. Sept. 7, 1997: At Dobbins Air Reserve Base, Ga., test pilot Paul Metz piloted the extremely maneuverable F–22 Raptor in its first flight. A new stealth fighter with the ability to cruise supersonically, the F–22 would replace the venerable F–15 for air-superiority missions. Feb. 28, 1998: The RQ–4 Global Hawk first flew. This new remotely piloted aircraft, designed for high-altitude, long-range, long-endurance reconnaissance missions, took off from Edwards Air Force Base, Calif., on a 56-minute flight. The aircraft, with a wingspan of 116 feet, was built to fly at an altitude of up to 65,000 feet and photograph an area the size of Kentucky in 24 hours. Dec. 16, 1998: Operation Desert Fox started. The largest air campaign against Iraq since the Southwest Asia War of 1991, Desert Fox involved the first combat use of B–1B Lancer bombers. Feb. 17, 1999: The first C–130J, a new transport with six-bladed propellers, advanced avionics, and shorter takeoff and landing capability, arrived at Keesler Air Force Base, Miss., to serve with the 403rd Wing. May 23, 2000: The first production-model T–6A Texan II aircraft arrived at Randolph Air Force Base, Texas. As a primary training aircraft, it would replace both the Air Force T–37, which had been in service for 38 years, and the Navy T–34, which had been in service for 23 years. Sept. 18, 2000: The first Air Force CV–22 Osprey arrived at Edwards Air Force Base, Calif. Designed originally for the Navy, the tilt-wing Osprey could take off like a helicopter and fly like an airplane. Dec. 2–13, 1993: In one of the most challenging space missions ever, astronauts aboard the space shuttle Endeavour, piloted by Col. Richard O. Covey, performed a record five spacewalks to repair the Hubble Space Telescope. Feb. 7, 1994: The first Titan IV/Centaur rocket boosted the first Military Strategic and Tactical Relay Satellite into geostationary orbit. This system would provide the U.S. military secure, survivable communications through all levels of conflict. July 1, 1994: Responsibility for maintaining the readiness of the nation’s intercontinental ballistic missile force transferred from Air Combat Command to Air Force Space Command, which had previously assumed responsibility for missile warning, space surveillance, space launch, and satellite control. April 27, 1995: Air Force Space Command declared the Global Positioning System satellite constellation fully operational. The system provides accurate geographical coordinates for personnel moving on the ground, sea, or air. Jan. 22, 1991: The Air Force began using precision-guided munitions against Iraqi hardened aircraft shelters. These attacks were so successful that Iraqi fighters began flying to Iran to escape destruction. During the war, coalition forces released approximately 16,000 precision-guided munitions against Iraqi forces and dropped some 210,000 unguided bombs. Feb. 11, 1998: A B–1B bomber first dropped a Joint Direct Attack Munition, a conventional bomb fitted with satellite-guidance equipment, over a test range at China Lake, Calif.
Operation Desert Storm had demonstrated that dust, smoke, and cloud cover could hinder the effectiveness of precision guided munitions. Shortly after the conflict, Air Force Chief of Staff Gen. Merrill A. “Tony” McPeak sent a terse, hand-written memorandum to Maj. Gen. R. Minter Alexander, his deputy chief of staff for plans and operations. “We need to lay down a requirement for an all-wx [all-weather] PGM,” McPeak directed. “Work with TAC [Tactical Air Command]. Keep me up to speed.” The JDAM guidance system met that need effectively and at a relatively low cost. The JDAM is a tail kit that fits on a normal “dumb” bomb, such as a MK-83/BLU-110, MK-84, BLU-109, or a MK-82. The tail section contains an Inertial Navigation System that utilizes GPS technology and can update its trajectory all the way to impact. It can be launched from more than 15 miles from the target. The per-unit cost of the JDAM back in the late 1990s was about $18,000. More recent costs are about $25,000 when warheads and fuzes are included, a bargain compared to the less effective laser and television guided bombs. Operation Allied Force in 1999 saw the combat debut of the JDAM, with the Air Force dropping more than 650 of the new weapons. More than 80 percent of the JDAMs hit their aiming points. Thanks to the combination of this new munition and the combat debut of the B-2 which carried them, Operation Allied Force was a veritable revolution in warfare, featuring the combined accuracy, low cost, and all-weather capability of the JDAM. No longer could the enemy use bad weather as an ally. Jan. 3, 1993: President George H. W. Bush of the United States and President Boris Yeltsin of Russia signed the second Strategic Arms Reduction Treaty, the most far-reaching nuclear-arms reduction pact in history. The agreement committed the United States and Russia to the elimination of all intercontinental ballistic missiles carrying multiple, independently targetable reentry vehicles and the reduction of the number of nuclear weapons carried by bombers. Nov. 21–23, 1994: As part of Project Sapphire, C–5s transported more than 1,300 pounds of highly enriched uranium from the former Soviet Republic of Kazakhstan to the United States to protect it from terrorists, smugglers, and unfriendly governments. Oct. 6, 1999: The United States destroyed the first of 150 Minuteman III silos in eastern North Dakota, in accordance with the terms of the Strategic Arms Reduction Treaty with Russia. Dec. 13, 2001: President George W. Bush informed Russia that the United States would withdraw from the Antiballistic Missile Treaty of 1972, which prevented the United States from developing and implementing a missile defense system. Oct. 1, 2002: Gen. John Jumper, Air Force chief of staff, authorized deactivation of the Peacekeeper intercontinental ballistic missile system. Each missile was originally designed to carry 10 independently targeted warheads, but the end of the Cold War made the system unnecessary. Aug. 31, 2004: Ending 13 years of service, the last Atlas II booster, specifically an Atlas IIAS, launched from Cape Canaveral Air Force Station, carrying a reconnaissance satellite into space. Dec. 18, 2007: A ballistic missile target was launched from the Pacific Missile Range Facility, Barking Sands, Kauai, Hawaii. The Japanese ship Kongo crew detected and tracked the target missile and their Aegis Weapon System developed a fire control solution; three minutes later a sea-based missile-3 Block IA was launched and three minutes after that, the SM–3 successfully intercepted the target about 100 miles above the Pacific. This was part of ballistic missile defense system testing. An F-35 Joint Strike Fighter, numbered AA-1, taxis past the control tower on Edwards Air Force Base, Calif., Oct. 1, 2008. Oct. 26, 2001: The Defense Department chose Lockheed Martin over Boeing to build the Joint Strike Fighter. The Air Force, Navy and Marine Corps planned to purchase thousands of the stealthy aircraft, designated the F–35. On July 7, 2006, Deputy Secretary of Defense Gordon England and Air Force Chief of Staff Gen. T. Michael Moseley were among those attending the unveiling of the first flight-test model of the F–35 at Lockheed Martin’s Fort Worth, Texas, plant. At the ceremony, Moseley announced that Lightning II had been selected as the name of the F–35 and said that the name “was a win for aviation heritage and culture.” He noted that the Lightning II was named after “two great pieces of air power history:” the World War II Lockheed P–38 Lightning and the supersonic English Electric Lightning interceptor, developed in the early 1950s. 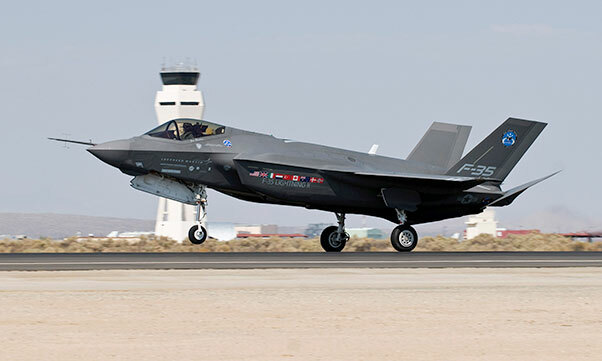 On Dec. 15, 2006, the F–35 Lightning II flew for the first time. At the controls was the F–35 program’s chief test pilot Jon Beesley, a 1979 graduate of the U.S. Air Force Test Pilot School at Edwards Air Force Base, Calif. On Oct. 1, 2008, the first F–35 in the Air Force’s conventional take-off and landing configuration arrived at Edwards Air Force Base for testing. An MQ-1 Predator armed with an AGM-114 Hellfire missile flies a training mission. The MQ-1s primary mission is interdiction and conducting reconnaissance against critical, time-sensitive targets. Feb. 21, 2001: An RQ–1 Predator fired a Hellfire missile to hit a tank at Nellis Air Force Base, Nev., becoming the first unmanned aerial vehicle to destroy a ground target. A remotely controlled MQ–1B Predator destroyed an enemy target for the first time when it fired a Hellfire missile to kill a group of senior al Qaeda members in southeastern Afghanistan on Feb. 4, 2002. On Sept. 25, 2007, the MQ–1 completed its first operational sortie, part of Operation Enduring Freedom. On June 20, 2005, the Air Force redesignated Indian Springs Air Force Auxiliary Field, Nev., as Creech Air Force Base. It was the first Air Force base primarily dedicated to remotely piloted aircraft — at the time referred to as unmanned aerial vehicle — operations. On Nov. 28, 2006, the Air National Guard redesignated the 163rd Refueling Wing at March Air Reserve Base, Calif., as the 163rd Reconnaissance Wing. 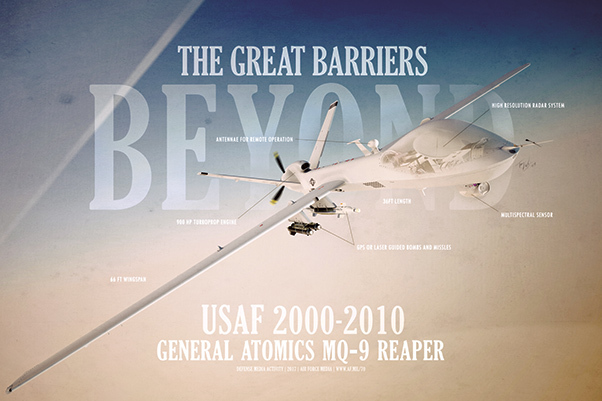 The wing would operate the MQ–1 Predator, becoming the ANG’s first RPA unit. In a major organizational development, the Air Force activated the 432rd Fighter Wing on May 1, 2007, renaming it the 432rd Wing. The service’s first RPA wing, it took charge of rapidly expanding intelligence, surveillance, and reconnaissance missions. The MQ–9 Reaper was designed as an armed, multi-mission, medium-altitude, long-endurance RPA employed against dynamic targets, as well as functioning as an intelligence collection resource. On Oct. 14, 2008, the 174th Fighter Wing, a New York Air National Guard unit based at Hancock Field Air National Guard Base, began divesting its F–16 fighter aircraft in preparation to begin operating the MQ–9 Reaper. The 174th Fighter Wing was the first Air National Guard unit to fly the MQ–9. May 22, 2002: The X–45A unmanned combat air vehicle flew for the first time at Edwards Air Force Base, Calif. It was the first unmanned aircraft designed for combat operations, such as suppression of enemy air defenses, in an extremely hostile environment. A CV-22 Osprey prepares to take off from the Edwards flightline. The first two test aircraft were delivered to Edwards Air Force Base in September 2000. The CV–22 Osprey, the special operations forces variant of the U.S. Marine Corps MV–22 Osprey, is a tiltrotor aircraft that combines the vertical takeoff, hover and vertical landing qualities of a helicopter with the long-range, fuel efficiency and speed characteristics of a turboprop aircraft. Its mission is to conduct long-range infiltration, exfiltration and resupply missions for special operations forces. The versatile, self-deployable aircraft offers increased speed and range over other rotary-wing aircraft, enabling Air Force Special Operations Command aircrews to execute long-range special operations missions. The CV-22 can perform missions that normally would require both fixed wing and rotary-wing aircraft. The CV-22 takes off vertically and, once airborne, the nacelles (engine and proprotor group) on each wing can rotate into a forward position. 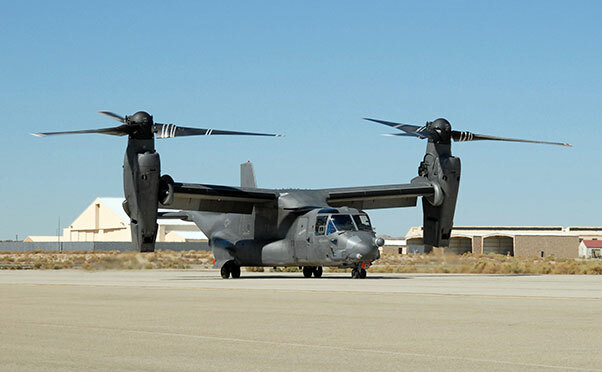 Later that month, March 20, the Air Force received its first operational CV–22 Osprey tilt-rotor aircraft when Wooley flew the aircraft from the test wing at Edwards to the 58th Special Operations Wing at Kirtland Air Force Base, N.M. He described the CV–22 as “truly transformational” for his command. A U.S. Air Force airman marshals the first C-130J to land March 19, 2004, at Little Rock Air Force Base, Ark. 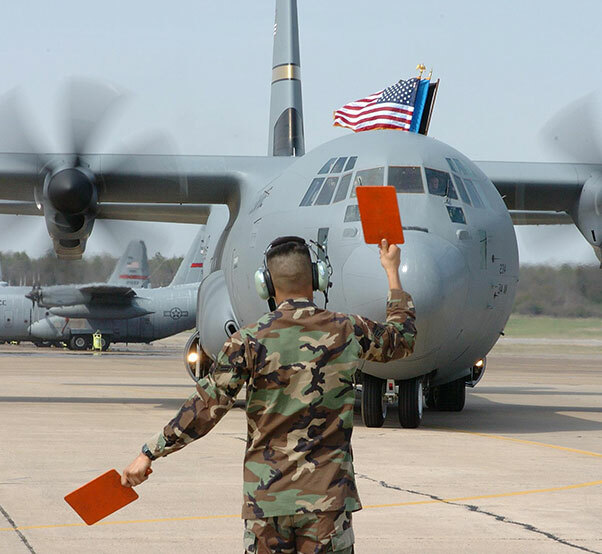 March 19, 2004: The first C–130J Super Hercules assigned to an Air Force active-duty unit arrived at the 314th Airlift Wing, Little Rock Air Force Base, Ark. Although the 314th Airlift Wing was a unit of the Air Education and Training Command, two active-duty C–130J squadrons (14 aircraft each) were programmed for assignment to Air Mobility Command’s 43rd Airlift Wing at Pope Air Force Base, N.C., beginning in March 2007. On Dec. 10, 2004, the first Super Hercules to be deployed for combat operations departed Quonset State Airport, R.I., for Southwest Asia. The aircraft was assigned to the 143rd Airlift Wing, a unit of the Rhode Island Air National Guard. The C–130J provided a 40 percent increase in performance capability over the previous C–130 models. Its advanced onboard computer negated the need for the flight engineer and navigator positions, thus producing a substantial savings in the cost of aircrew training. A new rescue tanker variant, the HC–130J, was rolled out at Lockheed Martin’s Marietta, Ga., facility on April 19, 2010. April 23, 2001: The Northrop Grumman RQ–4A Global Hawk completed the first nonstop crossing of the Pacific Ocean by remotely piloted aircraft. It flew from Edwards AFB to Edinburgh, Australia — a distance of 7,500 miles — in about 23 hours. The flight demonstrated the potential of the world’s most advanced high-altitude, long-range, remotely operated aircraft. Feb. 8–March 21, 2006: A congressionally directed demonstration of the Northrop Grumman-produced U.S. Air Force RQ–4 Global Hawk unmanned aircraft system was conducted to test the system’s ability to conduct maritime drug interdiction surveillance. During test flights, the system successfully detected and tracked preplanned maritime and airborne targets and maritime ad hoc targets. The system’s final report stated that the Global Hawk system was making satisfactory progress toward demonstrating utility to support maritime counterdrug operations. Nov. 17, 2006: The Air Force Operational Test and Evaluation Center Detachment 5 Global Hawk test team concluded the first operational flight test of the RQ–4A Global Hawk Block-10 unmanned aircraft system. The team was composed of AFOTEC Det. 5, 452rd Flight Test Squadron, Global Vigilant Combined Test Force, 31st Test Squadron, the 303rd Aeronautical Systems Group and Northrop Grumman, with operators from the 9th Reconnaissance Wing and 480th Intelligence Group also helping. The team’s final report concluded that the RQ–4A was effective with limitations that had a substantial impact on persistent intelligence, surveillance and reconnaissance operations. Nov. 16, 2009: The first of the next generation of Northrop Grumman’s Block 40 configuration of the RQ–4 Global Hawk high-altitude, long endurance unmanned aircraft system completed its first flight. The aircraft flew in California from Northrop Grumman’s Palmdale manufacturing facility to Edwards AFB. Sept. 19, 2001: The Air Force awarded a contract for low-rate initial production of the F–22 to Lockheed Martin. The contract called for production of 10 of the new stealthy air superiority fighters. May 12, 2005: The first combat ready F/A–22 Raptor arrived at Langley Air Force Base, Va., assigned to the 1st Fighter Wing. Featuring stealth technology, ground attack capability and the ability to reach Mach 1.5 without using afterburners, the Raptor was generally considered the most advanced fighter aircraft in the world. Dec. 15, 2005: The F–22 Raptor achieved initial operational capability. This followed a process of engine testing at Arnold Air Force Base, Tenn.; flight, ground, and simulation testing at Edwards AFB and Eglin Air Force Base, Fla.; missile testing at Holloman Air Force Base, N.M.; tactics development at Nellis Air Force Base, Nev.; pilot and maintenance training at Tyndall Air Force Base, Fla.; and initial deployment to Langley Air Force Base, Va.
Nov. 29, 2006: The A–10C Thunderbolt II made its official roll-out debut at Davis-Monthan Air Force Base, Ariz. On display at the ceremony were the upgraded jet’s enhanced capabilities, which made it a more effective and survivable attack fighter. Precision engagement technology, cockpit changes, improved communication capabilities, and numerous other enhancements accomplished under the Precision Engagement program were the most significant modifications to the A–10 in its 30-year history. The upgrade was expected to result in a much-extended operational lifespan for the A–10C, into the end of the 2020s. Dec. 30, 2008: Northrop Grumman was awarded a production contract for the B–2 stealth bomber radar modernization program. March 17, 2009: Northrop Grumman delivered the first operational B–2 Spirit to be equipped with the modernized radar to the 509th Bomb Wing, Whiteman Air Force Base, Mo. June 29, 2009: Air Force approved full-rate production for the new radar for the B–2. 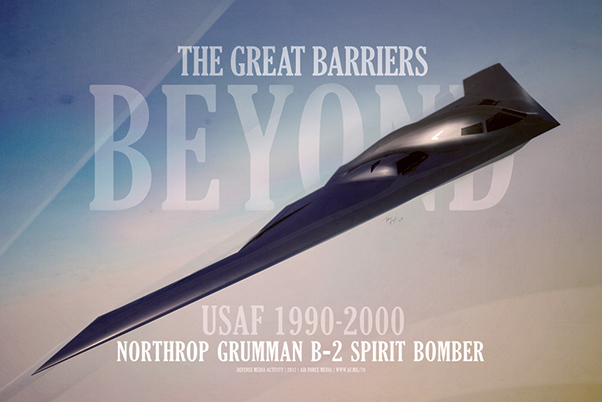 Northrop Grumman began fabrication of the remaining units to upgrade the entire B–2 fleet. July 30, 2009: At Edwards AFB, the 419th Flight Test Squadron conducted the first functional check sortie of a B–1B Lancer that ended two years of modifications to the aircraft. The B–1 was upgraded with the fully integrated data link, allowing the aircraft to communicate quickly with others in the entire battlespace, even when not in theater. The data links provided real-time data, including where the war fighter needed bombs dropped, making the B–1 a more powerful asset to U.S. war fighters. “The FIDL is basically going to bring the B–1 into the fight,” said Maj. Jason Wierzbanowski, 419th Flight Test Squadron B–1 test pilot. Oct. 16, 2009: Boeing successfully completed the first phase of flight testing for a B–1 bomber upgraded with the fully integrated data link digital avionics. The flight test plan for Phase 1 included nine sorties flown by the Air Force at Edwards. Aug. 21, 2009: Boeing delivered a retrofitted B–52 bomber back to the Air Force after incorporating the latest modern communications technology in the B–52 combat network communications technology. The upgrade had taken over 21 months. Jan. 28, 2010: Boeing announced that a B–52H upgraded with new communication technology successfully had accomplished its first test flight at Edwards on Jan. 17. The combat network communications technology upgrade was designed to allow B–52H crews to receive and send real-time digital information during their missions, giving them greater situational awareness and enhanced mission capabilities. In October 2015, the U.S. Air Force awarded a contract to Northrop Grumman for the B-21 Raider long range strike bomber. 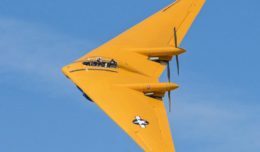 Initial plans are for the Air Force to acquire 80-100 of the bombers that are expected to enter combat service in 2025. May 26, 2010: The X–51A unmanned hypersonic air vehicle made its first flight, setting a distance record for a scramjet flying under its own power. The test was prematurely terminated due to a breached seal. May 8, 2001: Secretary of Defense Donald H. Rumsfeld designated the Air Force as executive agent for the Pentagon’s space activities. Oct. 1, 2001: The Air Force reassigned the Space and Missile Systems Center from Air Materiel Command to Air Force Space Command, giving the latter cradle-to-grave oversight of space systems. Aug. 21, 2002: The first Lockheed-Martin Atlas V lifted off from Cape Canaveral, Fla., inaugurating a new type of launch missile. Part of the Air Force’s Evolved Expendable Launch Vehicle program, the system used a standard booster, adding supplemental boosters as needed for a variety of payloads. Sept. 25, 2010: After several delays, the Minotaur IV launch vehicle took the Space-Based Space Surveillance satellite into orbit. March 23, 2011: Space Based Space Surveillance initial operational test and evaluation began that resulted in a recommendation for follow-on testing with the Space Fence program. Dec. 26, 2001: Undersecretary of Defense Pete Aldridge announced Pentagon approval of low-rate initial production of the one-ton Joint Air-to-Surface Standoff Missile, which can penetrate enemy air defenses at ranges beyond 200 miles and destroy enemy targets with precision. Aug, 25, 2006: Maj. Gen. Jeffrey R. “Jeff” Riemer, then commander of the Air Armament Center and Air Force program executive officer for weapons, Air Force Materiel Command, announced that Boeing’s GBU–39/B Small Diameter Bomb I was delivered to the U.S. Air Force ahead of schedule and under cost. On Oct. 2, 2006, Gen. Ronald Keys, commander of Air Combat Command, declared initial operational capability for the GBU–39/B Small Diameter Bomb I, manufactured by Boeing. This announcement came six months ahead of schedule. The capabilities of the 285-pound, all-weather SDB I made it well suited for the war on terror. They included increased employment range, increased aircraft payload, precision-guided accuracy, and a smaller lethality radius, minimizing the potential for collateral damage. 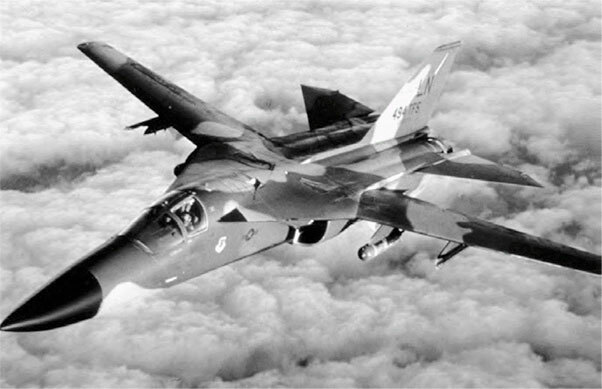 At the time, the F–15 Strike Eagle was the only aircraft equipped to carry the SDB, but potential platforms included the F–16 Fighting Falcon, B–1 Lancer, B–2 Spirit, F–22A Raptor, and F–35 Lightning II. May 6, 2008: A laser joint direct attack munition operational utility evaluation found the weapon effective in supporting precision combat operations. Testing determined the LJDAM was mission capable, and the test was closed. Aug. 18, 2008: The first laser joint direct attack munition (LJDAM) was successfully used against a moving enemy vehicle in Iraq. Sept. 23, 2009: Engineers at Raytheon demonstrated the ability of the AIM–9X Block II missile to attack surface targets, when an AIM–9X fired from an F-16C sank a rapidly moving target boat in the Gulf of Mexico. Nov. 21, 2010: The Air Force selected Raytheon’s GBU–53/B for the small diameter bomb II program after a 42-month competition. Aug. 24, 2001: At Grand Forks Air Force Base, N.D., the Air Force imploded the last of the Minuteman III missile silos in accordance with the terms of the first Strategic Arms Reduction Treaty. May 13, 2002: President George W. Bush announced an agreement between the United States and Russia that would reduce the number of nuclear weapons in their arsenals by two-thirds. Aug. 7, 2009: The Air Force activated Global Strike Command at Barksdale Air Force Base, La., to manage the service’s nuclear mission. The command received the lineage and honors of Strategic Air Command. April 7, 2010: President Barack Obama and Russian president Dmitri Medvedev signed the new Strategic Arms Reduction Treaty, known as New START, in Prague, Czech Republic. Each side agreed to limit its deployed nuclear warheads to 1,550 and to impose a ceiling of 800 on its total ICBMs, SLBMs and nuclear-capable bombers.